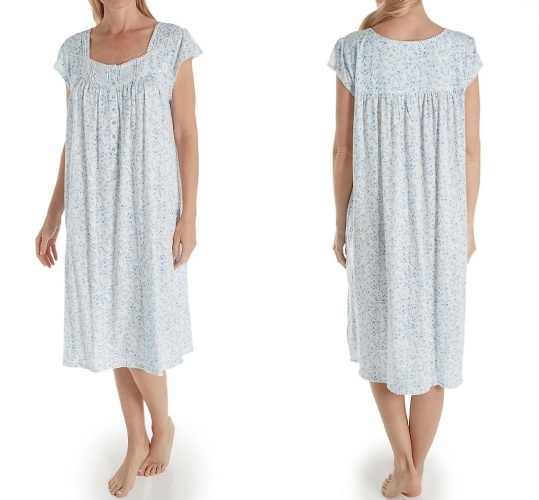 Women Sleepwear - Comfy and cozy - at the end of a long day, nothing feels nicer than slipping on a brand new crisp cotton nightgown or plush flannel pajamas. Many believe that women’s sleepwear is a splurge that’s simply too expensive outside of special occasions, but the truth is that treating yourself to that new nighty or pjs you’ve had your eye on is within reach. The secret is to shop smart so you can get what you love without breaking the bank. Most department stores and lingerie retailers have two big blowout sales per year, one at the end of fall / winter, and the other at the end of the spring / summer season. There may be additional specialty sales throughout the year (Valentines Day, President’s Day, Thanksgiving), but the semi-annual sales offer the greatest selection as retailers need to clear seasonal lingerie, sleepwear and loungewear in order to make room for new styles. Waiting for the best deals at the end of the season is definitely worth it when you can snag great pajamas, nightgowns, and robes for a fraction of their full retail price. Almost every lingerie and sleepwear store has a VIP mailing list. Getting in on great savings is as simple as signing up with an email address. There’s often a bonus offer or discount for registering and plenty of unadvertised steals and deals that follow. You’ll receive updates on sales and events and VIP members often get first dibs on discounted merchandise. Taking a few minutes to sign up for these programs can go a long way in saving money on sleepwear favorites throughout the year. If you’re not picky about colours, prints, and patterns, there are great deals to be found on last season’s sleepwear. This might mean buying bright summery colours when fall rolls around, or darker plaid pajamas once winter comes to an end, but new sleepwear is a great feeling, no matter what shade it is. If you’re particularly savvy with a strategic plan, you can buy next year’s Christmas PJs at the end-of-winter sale and set them aside, or pick up spring and summer nighties that you can stash until the following season rolls around again. 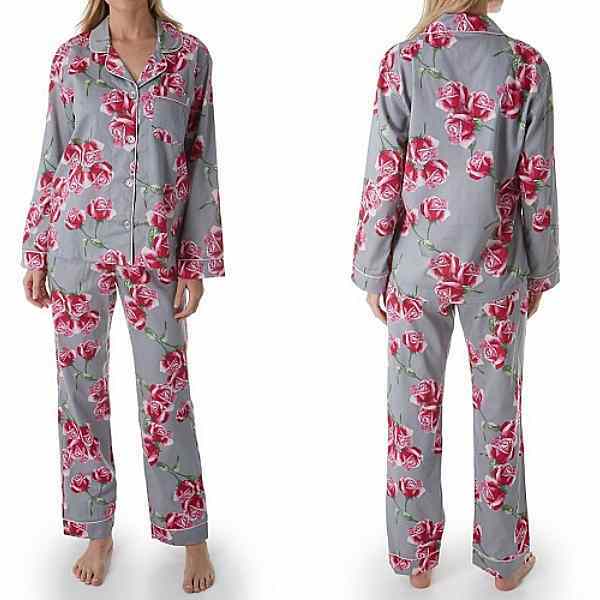 Popular ladies sleepwear styles come in a variety of comfortable and traditional intimate apparel fabrics such as cotton and flannel, microfiber, bamboo and ultra soft modal. You can’t take advantage of a great sale if you don’t know about it. One of the best ways to stay in the know is to take a quick browse of your favorite lingerie stores on a regular basis. Or, better yet, set up an alert on your computer or phone. Stores often have flash sleepwear sales and in-store markdowns that you’ll only spot when you come in and take a look. Also, get to know the salespeople and introduce yourself. Being a regular shopper lets you get to know the salespeople who can give you the inside scoop on upcoming discounts and the best time to buy. Many lingerie and women sleepwear stores offer great deals if you buy more than one at a time. Larger department stores often run BOGO deals that offer a buy one and get another at a discounted price, or additional savings the more you buy. So for example if you’re shopping for popular mix and match pj sets or pajama pants, this is a great way to pick up a few pretty pairs and take advantage of the deal you can get when you buy more than one at a time. A classic women sleepwear option is a twinset consisting of a tank top camisole and tap pants or pajama bottoms. These lingerie sleepwear sets are available in a cotton/spandex blend that offers an easy comfortable fit in a variety of colors and prints that change from season to season.